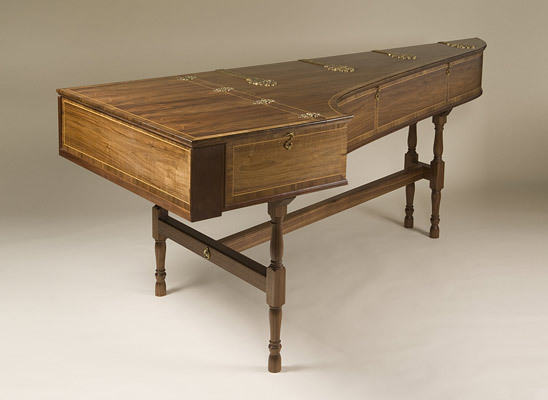 This single manual harpsichord with 2×8′ registers with a harpstop is based on the only remaining harpsichord from the Hitchcock family of instrument makers. 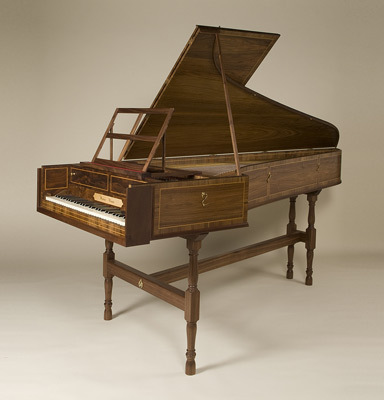 The original instrument is a double manual and is in the collection of the V&A Museum in London, whose design we have adapted to produce this single manual instrument. 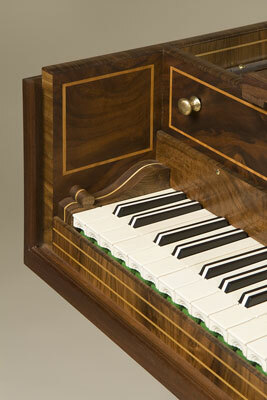 The compass is 5 octaves GG to g3, with a keyboard in Lime with keyfacings and arcades in Bone with Skunktail sharps. 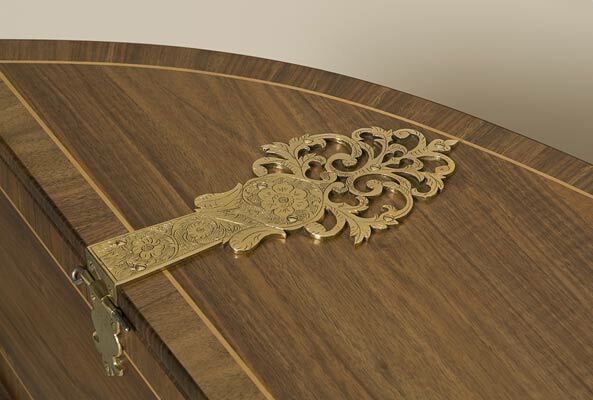 The soundboard is in Spruce with the bridge and nut in Pear. The jacks are in Cherry with Holly tongues and Quill plectra. The strings are period Iron and Brass. 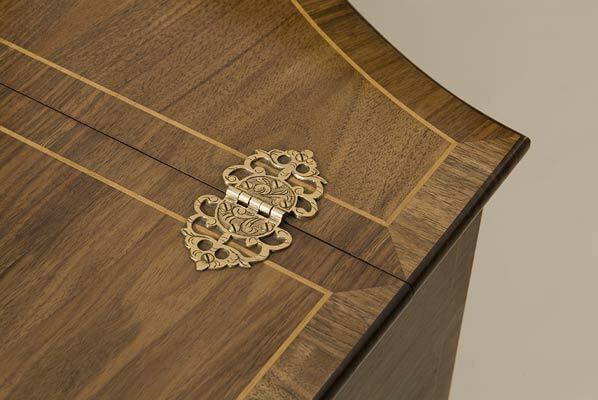 The case is veneered in Walnut and cross-banded with Walnut, with Brass strap hinges with chase-work. The stand has four turned legs with stretchers and rails all in Walnut. This instrument is tuned to a¹=415. 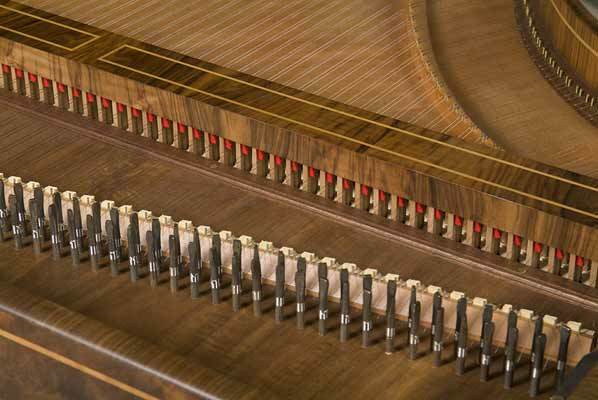 This instrument can also be produced with 1×8′, 1×4′ and harpstop, or 2×8′, 1×4′ and harpstop, or with a full double manual specification. 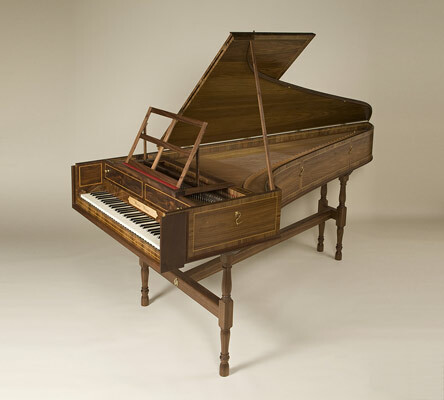 This harpsichord was completed and sold in 2008.